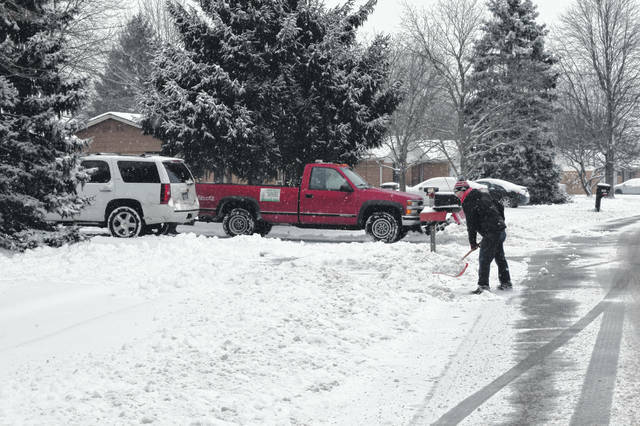 PREBLE COUNTY – A winter storm which brought snowfalls meteorologists are calling “the biggest since 2013” blanketed the Miami Valley area this past weekend, with snow beginning in the early hours of Saturday, Jan. 12, and continuing through early afternoon on Sunday, Jan. 13. 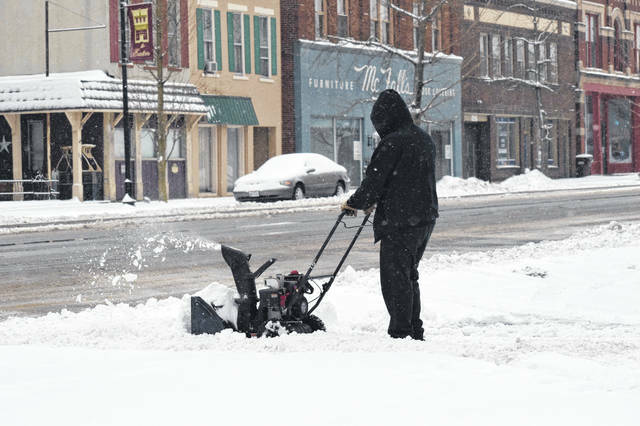 According to the National Weather Service Wilmington’s statistics, total snowfall accumulations ranged from 6-10 inches across the area. 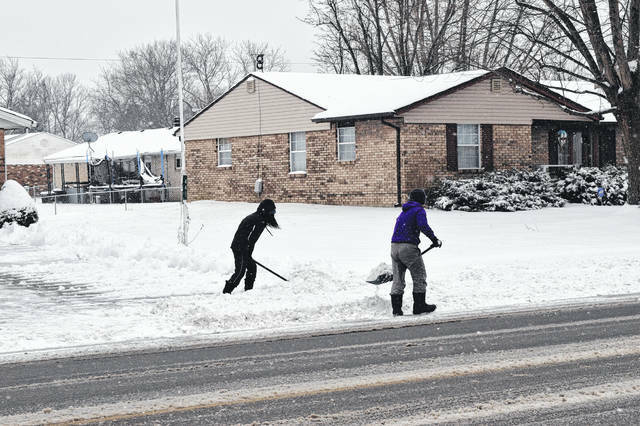 Road crews were out in full force, with many roads pre-treated before the severe weather began on Friday, and then working around the clock to keep roadways clear as possible. 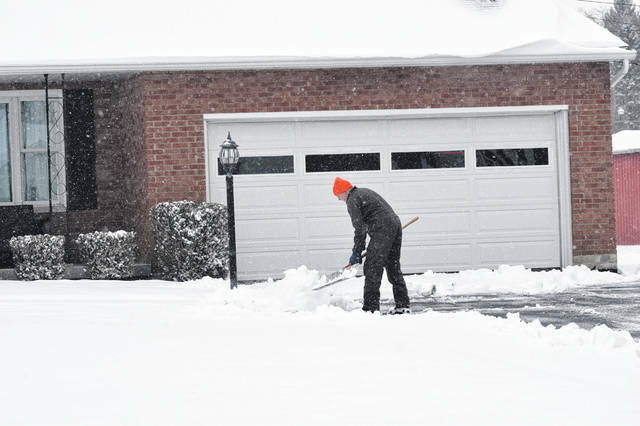 In the aftermath of the accumulating snow, all five Preble County area schools closed for the day on Monday, Jan. 14. More accumulating snows are possibly on the way, as extended forecasts from NWS are predicting another large system over the coming weekend. Until then, small systems could dump a fresh coating midweek. NWS forecasts a partly sunny day with temperatures near 36 on Wednesday, and then a chance of snow Wednesday night into Thursday morning. Wednesday looks to be mostly cloudy with a low around 26 degrees, and new snow accumulation of less than a half inch possible. According to NWS, snow is again likely before noon on Thursday, then rain and snow mixed between noon and 3 p.m. Thursday looks to be mostly cloudy with a high near 37 degrees. Another chance of rain mixing with snow comes around Thursday after 9 p.m., gradually ending with a low temperature near 30. Friday’s forecast currently calls for a high near 38 degrees and mostly cloudy skies, with snow likely beginning after 4 p.m. and a low near 25 degrees. 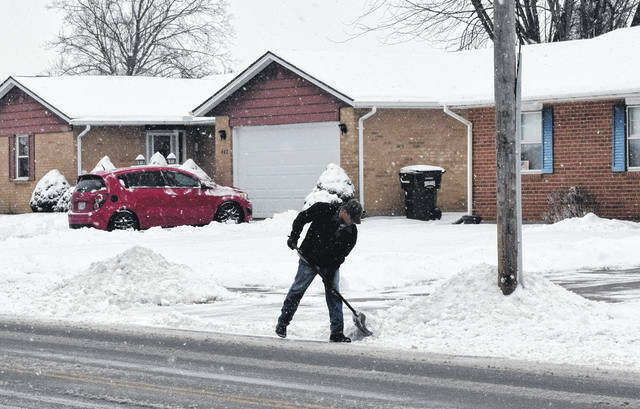 NWS is calling for snow again Saturday, with a high temperature near 31 dropping to around 15 degrees Saturday night as snow continues. Sunday could bring more snow, with a high temperature near 23.